Corporate functions are the perfect venue to showcase your business mettle. With so much at stake in making the perfect first impression, you’ll need something to speak on your behalf when the words won’t come so easily. An elegant cocktail could be your carriage to corporate gain, showing that you’re as sophisticated as you are capable. We’ve compiled a list of the world’s fanciest cocktails to inspire the drinks menu at your next corporate event. A collection of the finest and most costly liquors in existence, The Winston is comprised of vintage cognacs and sugar sculptures that dance within the carefully curated elixir. The key ingredient? The Grand Marnier Quintessence. While you may not be able to replicate the exact ingredients (one being a cognac distilled in the mid 19th century), you can combine similar elements to create something just as pleasant, but perhaps, without the usual $12,000 price-tag that follows this unique drink. Ever had a margarita in a solid form? We were sure it was impossible till Sydney’s Doug laming perfected his vision with manmade caviar spheres filled with Souza Tequila. Placed on a lime and doused with syrup, the piece is then dusted with salt to complete the balance of flavours. This is your one stop shop for your tequila fix with an air of fun. Imagine having this at your next corporate function. While liquid nitrogen is becoming increasingly popular as a theatrical “garnish” for cocktails, The Gun Powder Plot also uses real smoke to provide additional flavour to this fiery tonic. Inspired by Guy Fawkes’ brave tale of martyrdom, this gin infusion includes gin, gunpowder flavours created by burning sticks and spices, egg white and fernet branca, a herbal digestive. The presentation is equally as beguiling with a cloche filled with fog. A great piece for a corporate party with a bit of drama. No, it’s not a typo. In fact, the whole premise behind this $22,600 cocktail served at the Ritz Carlton Tokyo, is that that this drink comes carefully crafted with an equally as well-crafted one karat diamond necklace. The main components that are actually comestible includes high quality vodka (naturally) with a twist of lime. Similar drinks include Foxwood’s Casino’s “Sapphire Martini” which includes a pair of blue sapphire earrings. Mimicking this would be sure to cause a stir at your corporate event, even if the drink is shaken (not stirred). A great drink to loosen corporate ties. While the original can only be created in Belfast’s Merchant Hotel, every bar from Melbourne to Malawi has a version suited for local ingredients. The ‘O.G’ beverage features the original 1944 aged rum used at the time of the cocktail’s initial invention, as well as plenty of crushed ice and lime. The name comes from the word “good” in a variant of the Polynesian dialect and we think it’s been aptly chosen. When it comes to making an impression that lasts, don’t settle for your average corporate function. Going the distance with your cocktail menu is serious business that MAKES business a lot more professional (and also a bit more fun). Get in touch with our team of event curators to curate the perfect corporate event for your ambitions. 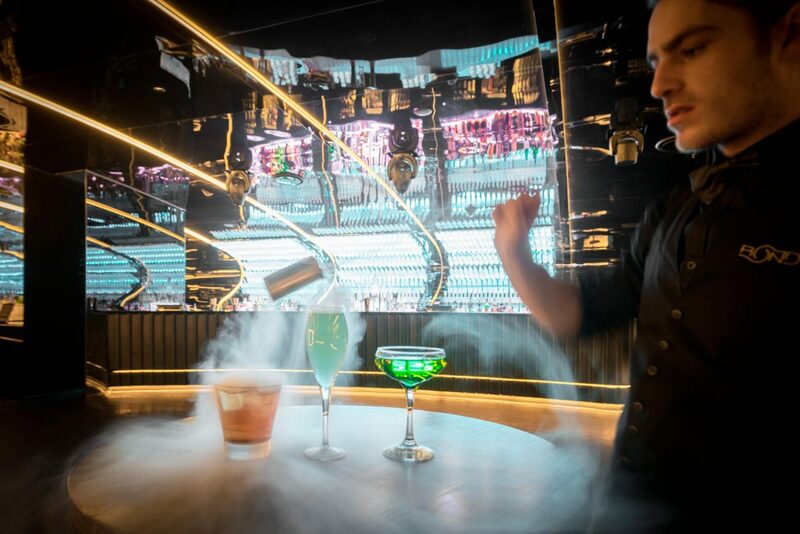 Our Melbourne locations make the perfect backdrop for any cocktail party while our team has the expertise to make your event your most memorable yet.